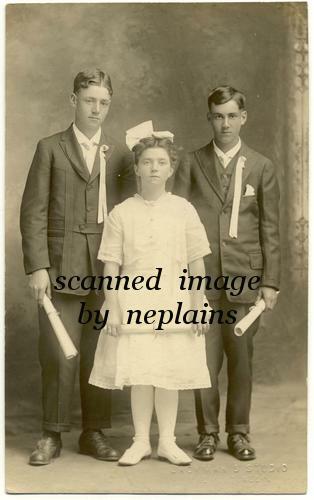 Three nicely dressed young people holding rolled certificates or diplomas. Location is unknown. Real Photo postcard, AZO (1904-18). Jackman's Studio, Fremont, Nebr.